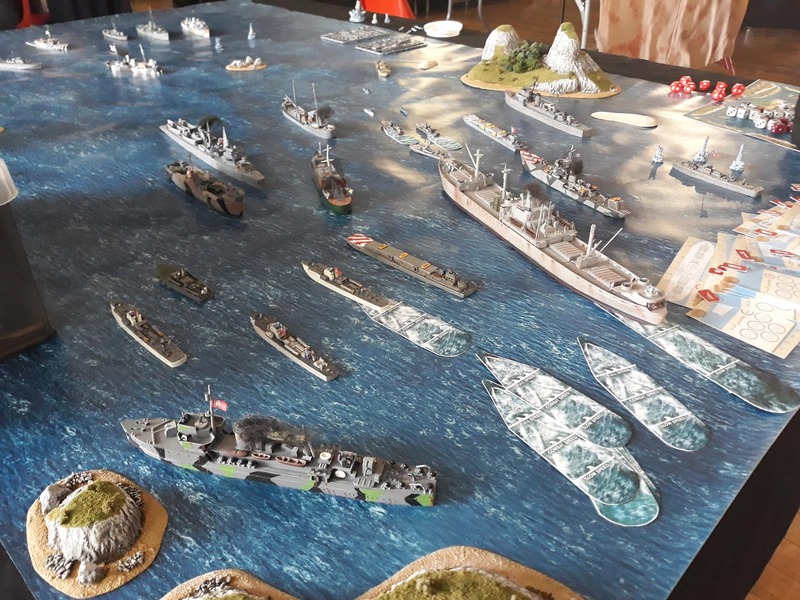 It was all hands on deck down here at Warlord HQ last Saturday as we pulled out all the stops to make our Open Day 2018 something spectacular! 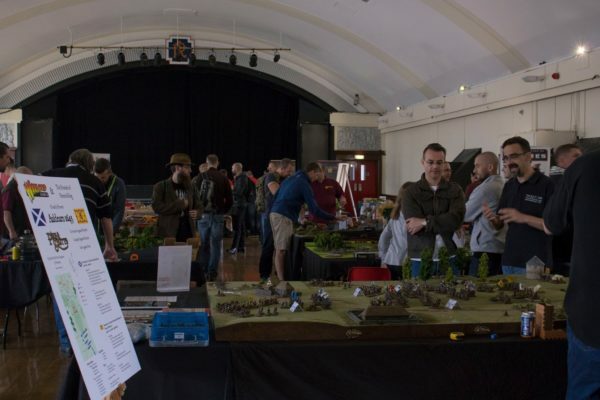 Every year, we open our doors to give you a glimpse behind the curtain and celebrate everything that makes our hobby great. We took the opportunity to showcase all our games and show off some of our upcoming releases including Cruel Seas! The highlight for many of you was the opportunity to get stuck in with Black Powder 2 and try out the new rules for the first time! 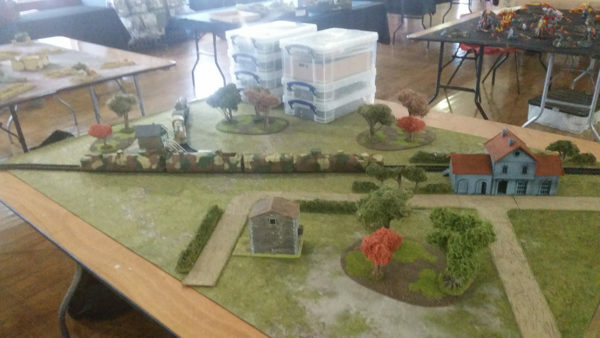 We raided John Stallard’s extensive miniatures collection and borrowed some of his beautiful tables to put together a massive Napoleonic battlefield. 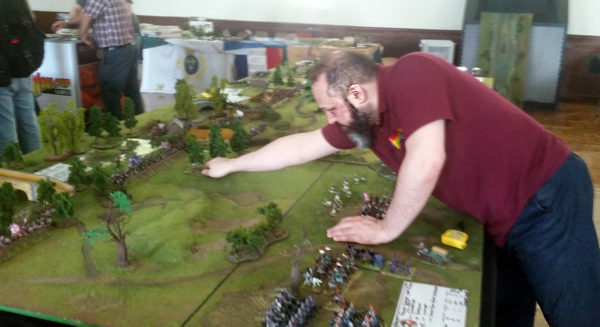 Headed up by our head of sales Steve and customer service manager Lorenzo, this Napoleonic mega game was refought several times over the course of the day, with British and French battalions clashing with smoking muskets and flashing bayonets. Lorenzo resets the Black Powder 2 table for another game. The other big centrepiece of the day was the battle of Auldearn using our fantastic Pike & Shotte rules. 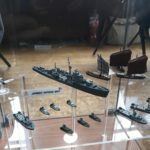 Organized in collaboration with the Friends of General Haig, this recreation of one of the Wars of Three Kingdoms key battles involved hundreds of beautifully painted miniatures and custom-built terrain boards loaned out by John Stallard. 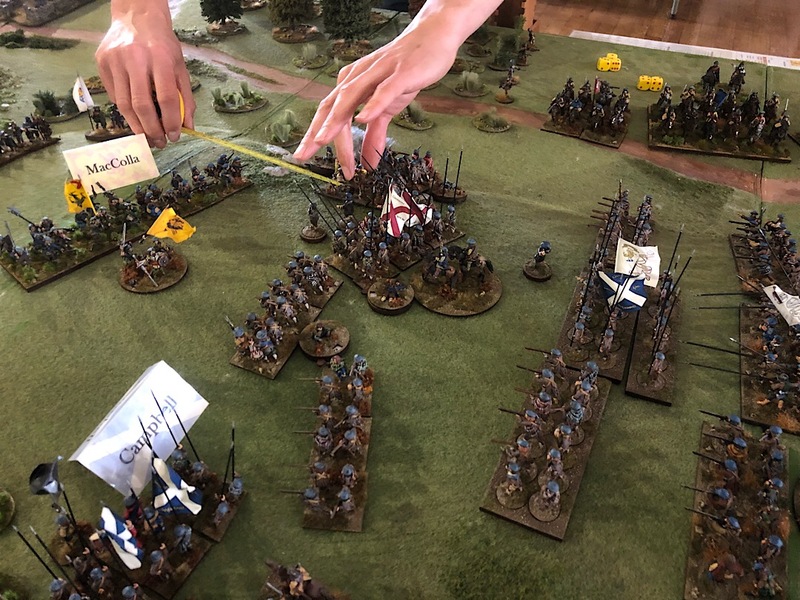 The Covenanters attack MacColla’s position on the hilltop. 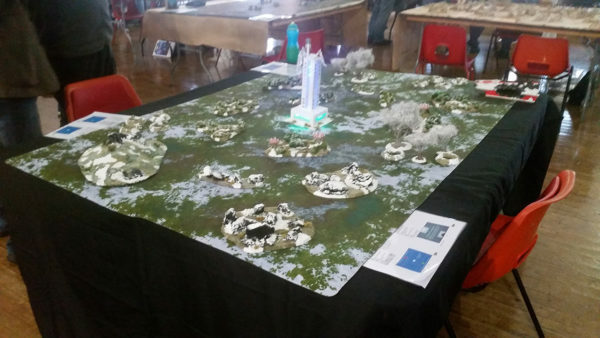 We’ll be featuring more of this amazing table in a future article! 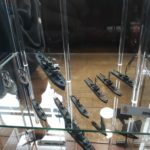 We also unveiled Cruel Seas, our new game of world war two motor torpedo boat action. 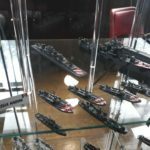 This dynamic, fast-paced game launches with a whole range of plastic and resin ships in 1/300 scale, covering all theatres of the war. 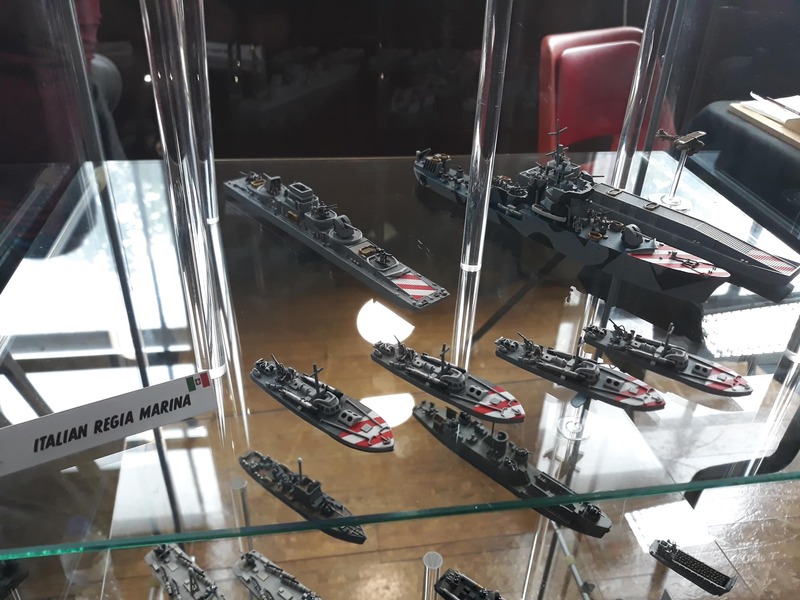 A selection of the ships that will be available in the new Cruel Seas release. 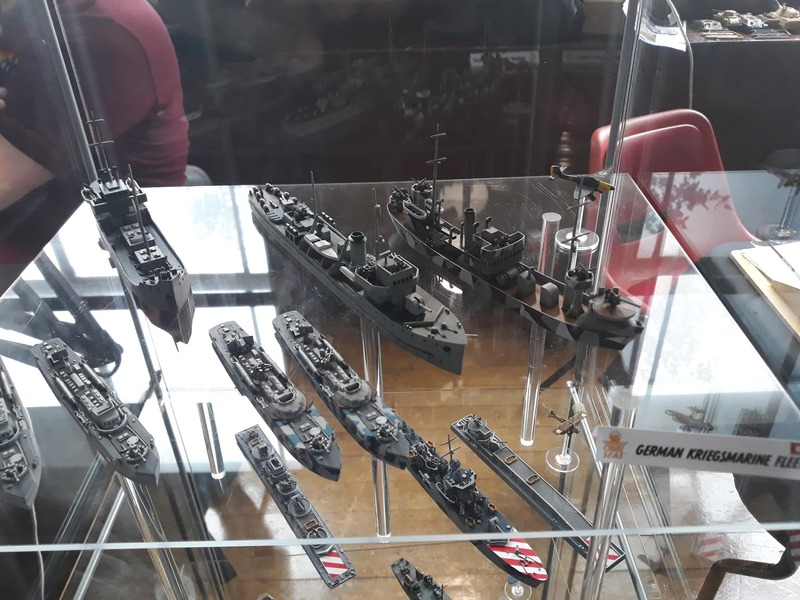 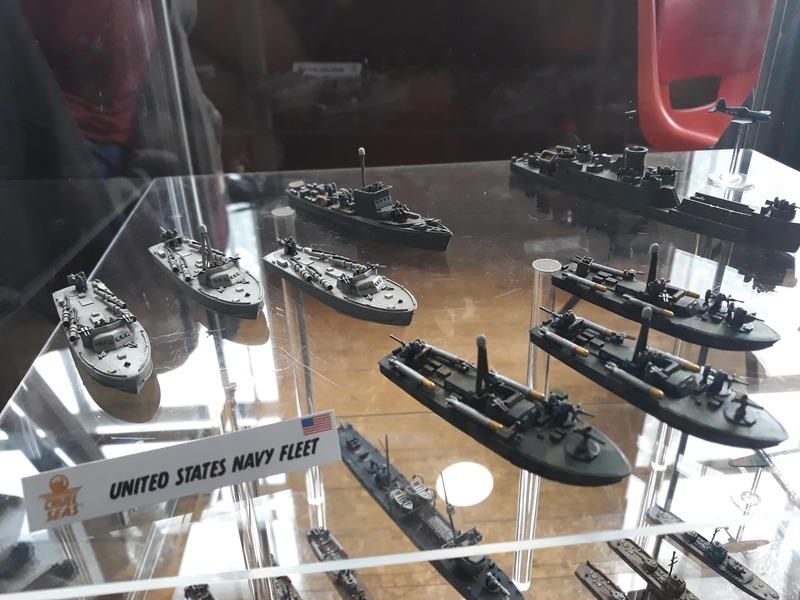 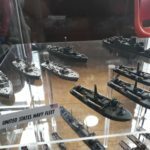 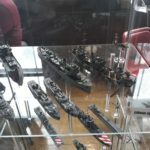 Our talented design studio had put together a display of the full range that will be releasing, showcasing the ships of the Royal Navy, Kriegsmarine, US Navy, IJN and Soviet Navy. 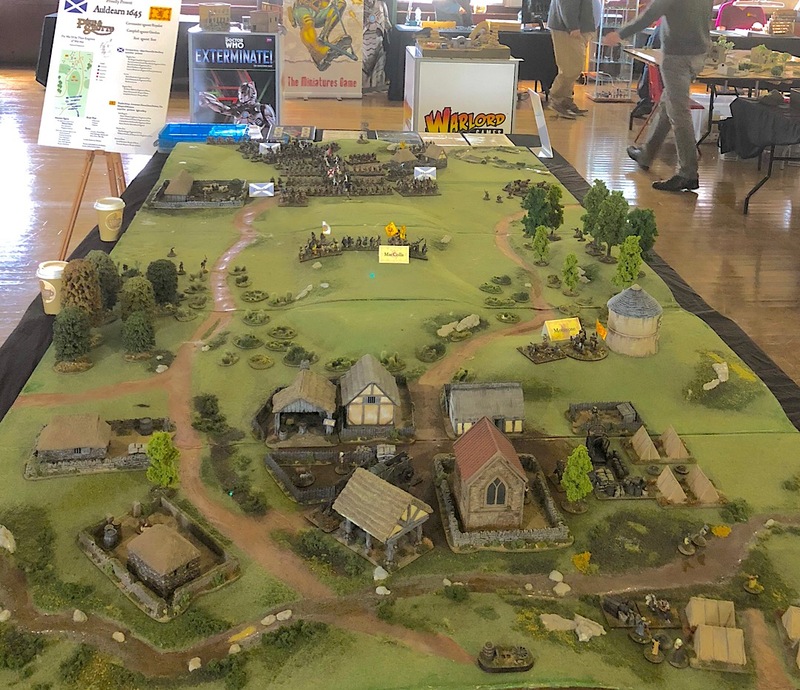 On top of all the exciting announcements and spectacular demo games, we had a huge variety of Bolt Action and Beyond the Gates of Antares tables for people to battle on. 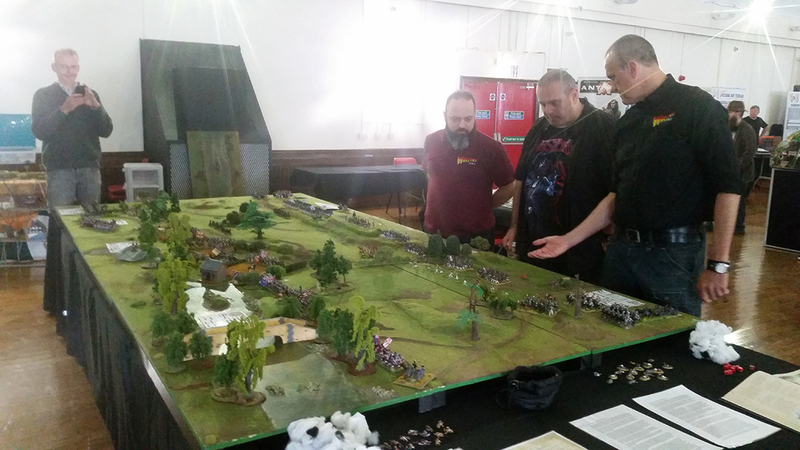 We even got Warlorder Bernard to bring out his fearsome Isorians, taking on anyone who thought they could Beat the Beast! Alongside all this chaos, we had a thrilling Blood Red Skies tournament, alongside an exclusive playtest of some new ground attack rules with game designer Andy Chambers! 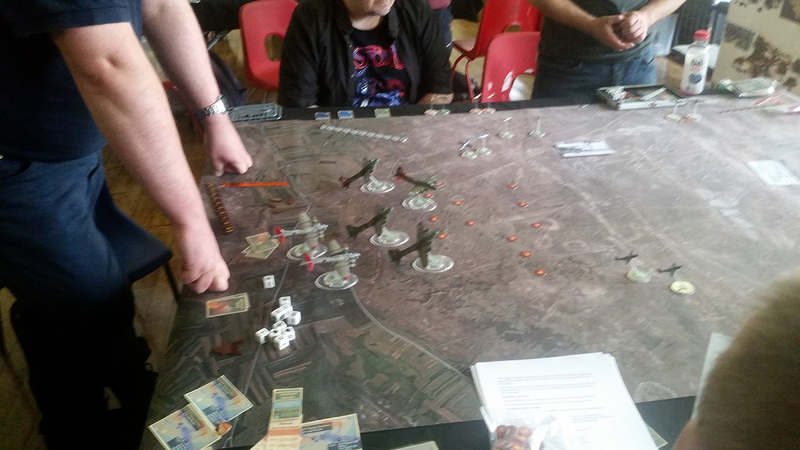 A Blood Red Skies table with a formation of B-17 bombers being attacked by German fighters. While all this action was taking place in the main hall, we had a programme of in-depth seminars with our stable of game designers, giving you the opportunity to get ask any burning questions about our games! 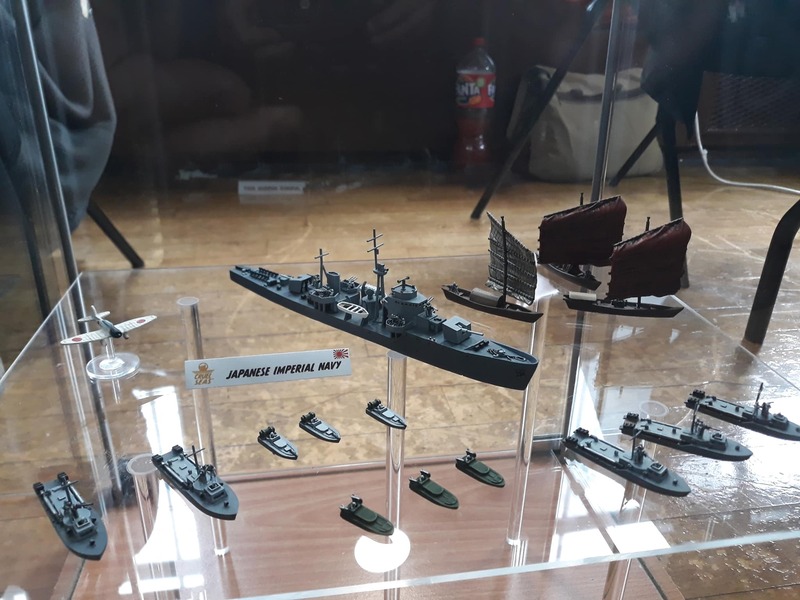 Don’t worry if you missed them, the highlights will be available on our YouTube channel soon! 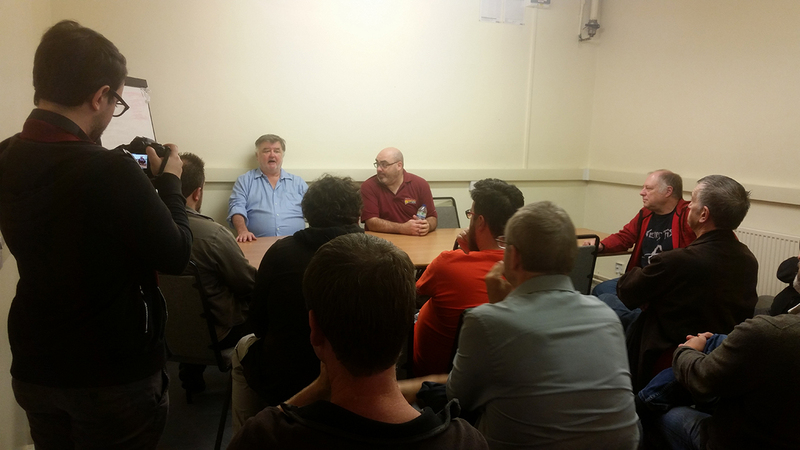 John Stallard and Paul Sawyer address a packed seminar room about Cruel Seas. 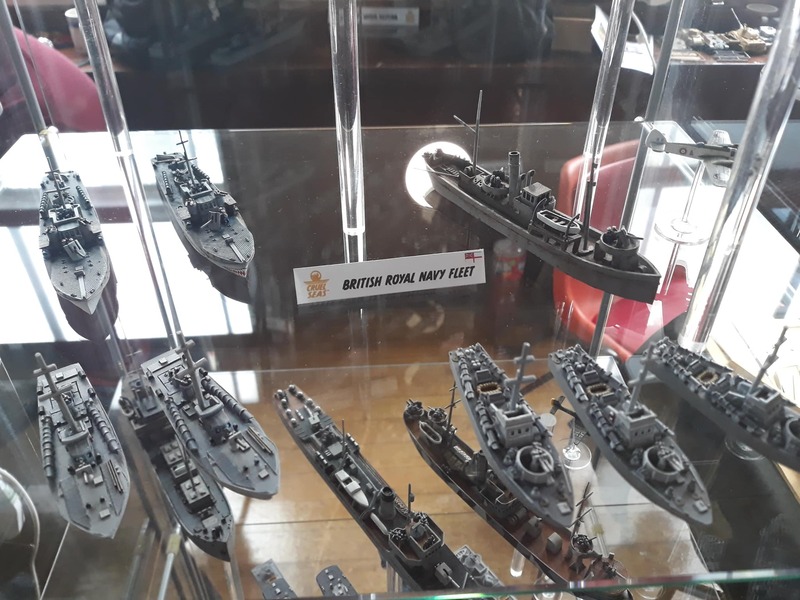 To make the day a special event, we ran some exclusive offers in our HQ shop. 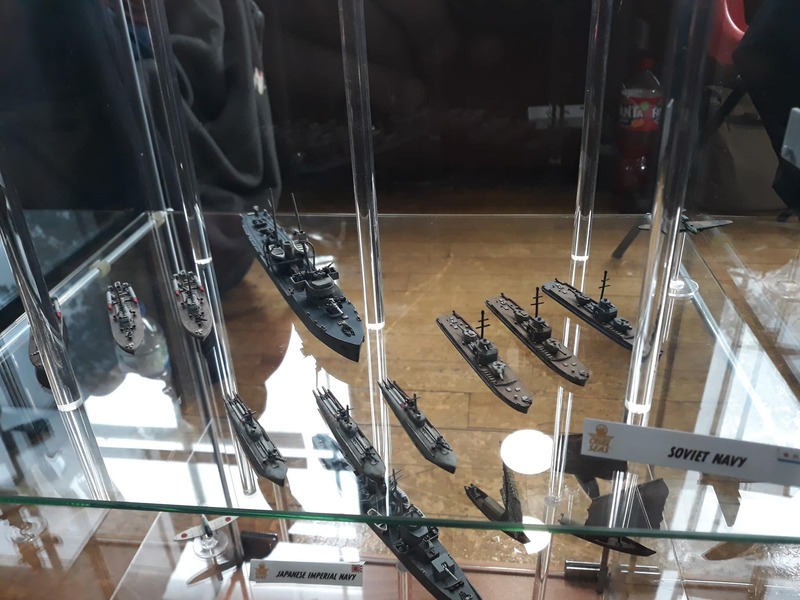 If you weren’t able to attend, a selection of these have been put up on the webstore. 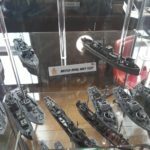 This is the perfect opportunity to get your hands on some goodies!